Home > Beauty, Wellness and Sports > Beauty > [SkinStore] Buy 1, Get 1 50% Off + Free Gift! [SkinStore] Buy 1, Get 1 50% Off + Free Gift! Grab your favorite products with our Buy one, get one 50% Off sale! To active, buy two of your favorite products and get 50% off one. Bonus: Select your free night-time hero sample when you spend $100 or more! Treat your skin to ultimate hydration, as you relax and unwind each day with the superb collection of powerful products from Elemis - the number one British anti-aging skincare brand. Find the perfect gift to give this holiday with an exclusive list of new holiday sets only on SkinStore! 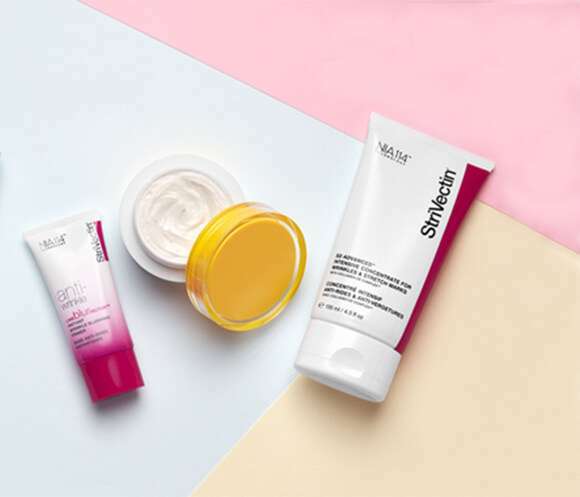 Experience the rich, multi-tasking products created by StriVectin, that fight all major signs of aging, improves deep wrinkles, loss of firmness and elasticity.